At Pro Carpet Cleaning we know that repeat business and the word-of-mouth referrals of our satisfied customers are the key to our success. That is why doing a quality job at an affordable price each and every time is our highest priority. Proudly Serving The Lowcountry Six Days A Week, Monday Thru Saturday, Rain Or Shine! Staying Local: Instead of choosing the larger national carpet cleaning chains, go “Pro” and support a local small business while also receiving unmatched quality of work and professionalism. Flexible Scheduling: We understand how hectic day to day life can be, so we always make an effort to schedule your carpet or upholstery cleaning at a convenient time for you. 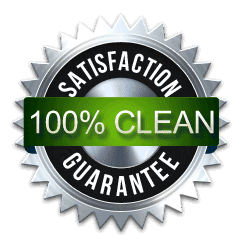 Competitive Pricing: There is a wide range of prices on carpet, rug, and upholstery cleaning services in the Charleston area. At Pro Carpet Cleaning, we are not the lowest priced or the highest. However, we do provide the best service and value around, dollar for dollar, guaranteed. Professional and Punctual: Professionalism in the service industries is rare nowadays, but not at Pro Carpet Cleaning. Our technicians are polite and neat in appearance, and all of our customers and their homes are treated with care and respect. We also know how valuable your time is to you, so we always strive to be right on time, even providing courtesy call-aheads when we are on the way to give you an accurate arrival time. Licensed, Bonded and Insured: As a Pro Carpet Cleaning customer, you can rest easy knowing that we carry industry standard liability insurance to cover any possible mishaps or property damage. As a customer, you will find that our small business will provided a more intimate, one-on-one customer experience often missing with many larger, nationally franchised carpet cleaning companies. 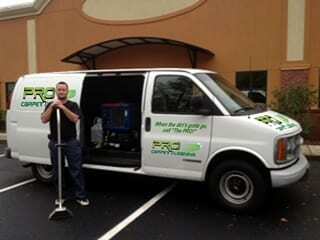 We are one of the premier Carpet Cleaning Charleston SC services available in the Charleston Metro Area. Our state of the art hot water extraction system (also referred to as “steam cleaning”) provides the deepest clean, while its powerful vacuum makes for fast drying time. The clean rinse leaves no chemical or soapy residues behind, and our “green”, environmentally friendly cleaning products are hypo-allergenic and safe for pets.